West Indies batsman Kirk Edwards, who has two tons and two half centuries in his five-Test old career -- one of them against India on debut in Dominica, has said the fine fight back by his team in the second innings of the second Test at Kolkata has given it a lot of confidence ahead of the last Test commencing on Tuesday. "Yeah, definitely. I think we were pretty confident as a team even before the second innings. That is just a justice to the way the guys were feeling. Of course, we will be going into this Test match with confidence as well," said Edwards, who made 60 in a second innings total of 463. The visitors were bundled out in the first innings for 153 in which his contribution was just 16 and went down by an innings to the hosts despite a much improved batting display in the second innings. West Indies had lost by five wickets in the opening Test in Delhi and have already conceded a winning 2-0 lead to the home team. Edwards did not see much advantage of having done well in the second innings at the Eden Gardens in Kolkata while looking ahead to the third and final match. "It's a different game, a different pitch, a different stadium. We just have to play according to what we see. That's how cricket works," Edwards said. "Seen it (wicket) but don't have much thoughts on it at the moment. Have to see the history of the matches here and make a better assessment," he added. In awe of Sachin Tendulkar, Edwards said at times he loses focus while fielding when the iconic Indian batsman is at the crease. "Actually I get along very well with (Rahul) Dravid; I admire Dravid. I admire (VVS) Laxman. I admire a majority of those guys. But playing a game with Sachin was something special. It's a memory that I will live with forever," said the 27-year-old player ahead of the inconsequential third and final Test against India at the Wankhede Stadium. "Sometimes I find myself focusing on him so much I am not focussing on my fielding. I think it's the same thing for yourself as it is for me. The guy is a legend, so we are all in awe of him, to see him batting," he said of Tendulkar. 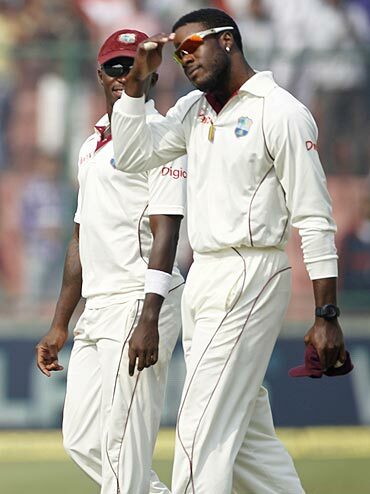 Barbadian Edwards complimented the Indian bowling attack, saying they were a formidable lot in home conditions. "I think they are very good at home. I played against (Ishant) Sharma in the Caribbean and the other guys...I have played against them overseas. But from what I have seen over the past couple of weeks, they really understand the conditions well and they stick to the task," he remarked. About the influence of Desmond Haynes, the team's batting consultant, Edwards said he spoke a lot to the former West Indies opening great, but his father influenced him more. "For me, growing up in the same country as Desmond, Barbados, you have a lot of conversations about batting and all that stuff. But my real influence comes from my dad," he declared. Asked about pitches at home and in India, he said, "Obviously, pitches that we have played so far on in the sub-continent have tended to keep a bit low and then a spin a lot more than the majority of the pitches we have back home. "But some pitches we have in the Caribbean also spin a bit. But up here, the surfaces are a lot more dry," he commented. 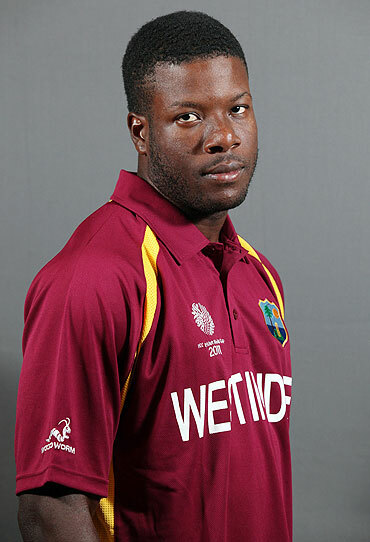 Edwards said the West Indian team is rebuilding itself and makes mistakes from which it needs to learn. "We tend to get along really well as a young team. I think the world has seen that we in the rebuilding process. We make mistakes, probably that you wouldn't make with experience but that's all part of the process. We just have to learn from it and more forward," he explained. Why Yuvraj was dropped from the Test squad. Figure it out!